Increases in the cattle market have been driven by a supply and demand imbalance in August. 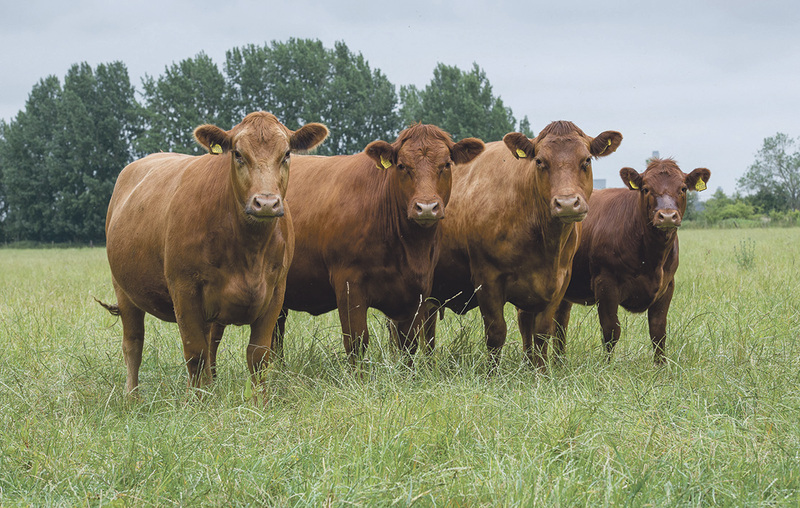 Consumer demand for beef has increased, with UK households buying 4 per cent more beef in the 12 weeks to July 17 compared to the same period in 2015, according to data from Kantar Worldpanel. Analysts said this has helped support prices as factories have been looking ahead to secure enough product to fulfil their retail orders. The weaker pound since the result of the EU referendum has also made British meat more competitive on both the domestic market and abroad. In Scotland, prime cattle prices saw a significant lift during August, according to the latest Quality Meat Scotland (QMS) figures. Scottish abattoirs handled 3 per cent less prime cattle in August, which has helped to drive the price rises. Iain MacDonald, QMS senior economics analyst, said: "Although there was an increase of 1.5 per cent in the 18-24 month age group, this was not significant enough to offset the decline in the older age group, and the pool of 18- to 30-month-old cattle which will be the source of short-term abattoir throughput fall." Falling carcase weights due to slaughter at younger ages will have added to the decline in supply, with steer carcases averaging 1 per cent lower than a year earlier in June and then 3 per cent lower in July. The market this year has been characterised by high supplies especially from dairy cows due to the difficulties in the dairy market. Estimates suggested numbers coming to market have increased in recent weeks but prices have remained stable. Mr MacDonald predicted the firm market would continue ’for a while yet’ before the pool of 12- to 18-month-old cattle began to reach the market and significantly boosted supply.